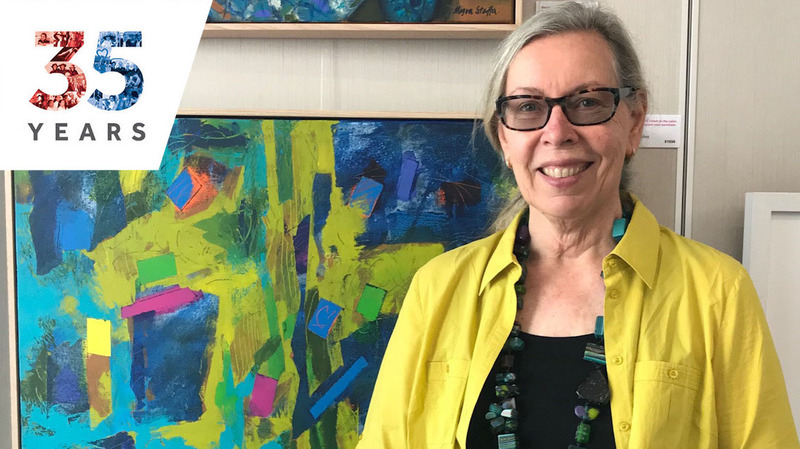 St Stephen’s School’s first Visual Art teacher Myra Staffa has fond memories of the School’s earliest years, even identifying as an inaugural member of Alethea House. “If my memory serves me correctly, when the school first started, with just one year of students, Alethea was the only house followed soon after by Timae. Initially I was in Alethea house and later I joined Carana when buildings expanded further as the school grew,” Myra said. As foundation staff member, Myra has witnessed first-hand the changes St Stephen’s School has experienced since day one. “The first time I saw the school grounds in Duncraig, it was an empty building site, completely barren of vegetation and just a huge sandy hill,” Myra said. “It wasn’t unusual to find the footprints of kangaroo and rabbits in the sand after a weekend as at this time Hepburn Avenue, the Mitchell Freeway North and the train line didn’t exist,” she said. Myra’s daughter was a student at St Stephen’s School some years later, allowing Myra to observe and appreciate the fruits of a growing campus. Proving that you always remain a part of the St Stephen’s School community, Myra was commissioned in 2016 to recreate an artwork she’d sketched during her time as a teacher. “Recently I was commissioned by the school to create an artwork that referenced the Alethea building. This was to replace a small sketch I created many years ago of the same building,” she said. Above all else, Myra said it is the sincere spirit of St Stephen’s School that makes it special. View Myra’s artwork and read about her current workshops at www.myrastaffa.com.au.